manufactured and delivered every year. with varying thickness and sheet size’s available. sawing, machining, grading and treatment of timber. on the tradition of quality product and service. Our timber is imported directly from well-managed, environmentally certified sources, complemented by strong global relationships established over many years. A wide range of products is always available at our branches as well as tailored processing solutions for the construction, joinery, fencing, packaging, garden buildings and landscaping sectors. We offer an extensive range of quality products to the construction, packaging, furniture and shop fitting industries. 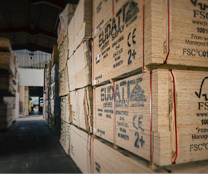 Like our timber, all are obtained from well-manged, environmentally certified sources. Our core range includes; Hardwood and Softwood plywoods, OSB, MDF, Chipboard and Hardboard. We have extensive mills at both Salford and Walsall, equipped with a comprehensive range of modern machinery enabling us to provide a high quality and responsive service. We can accurately plane/mould/re-saw/cross-cut to the most exacting standards. Tanalith and Vacsol treatments extend the service life of timbers, making them a high performance material choice for a wide range of construction, landscaping and engineering applications. HAVE A QUESTION OR QUERY REGARDING OUR PRODUCTS? At GE Robinson we have been supplying quality timber since 1914. 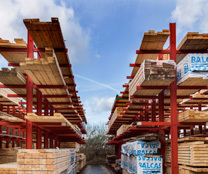 We have a great selection of timbers and unrivalled expertise.